This home was a “Just Listed and Just Sold” Diva Dwelling for the yearbooks. We sold this home for $126K over asking. Why you ask? Fix what’s broke, make it beautiful, and market the heck out of the home – aka the #DivaDifference. In 2015, Chavi found this darling mid-century in Haller Lake as a future rental property for our Diva Dwellers, Mike and Jackie Lagase. The home had been sitting around for a while in a hot spring market. Hmm – she thought – what could be the problem? It was listed on the MLS but “for sale by owner”, it was poorly presented and basically, there was no marketing. When they walked in the door – they knew this was a hidden gem. Not only was Diva Chavi able to get this home for a deal. Ex-power real estate agent, Jackie Lagase, was able to sweet talk the seller (who never left the house) into leaving her the fancy Viking stove and decommissioning the oil tank on top of a discount in price. Done. Fast forward to 2017. Our Diva Dwellers, Jackie and Mike have spruced up this sweet pad. New paint, new kitchen counters, and some new tile and they fluffed the once dull yard. They had this little gem rented for a profit for two years and then decided that it was time to move on. 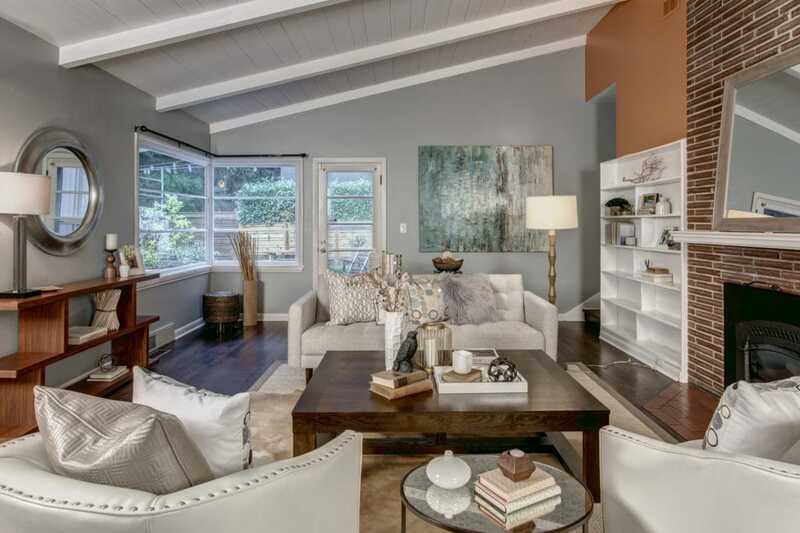 They followed our #DivaDifference prepping your home advice and with one sale already under their belt (we sold their home in Fremont as well in 2015 ) they knew the routine: fix what’s broken, make it pretty and – let the Divas market the heck out of it. Which is exactly what we did. From day one this home was hot hot hot. We had over 70 agent showings. Diva Dudes Rocky and Roy both had such amazing open houses that they lost count at 75 GROUPS both Saturday and Sunday. And – drum roll please – we had a Diva Record Breaking 25 offers on this Haller Lake home. 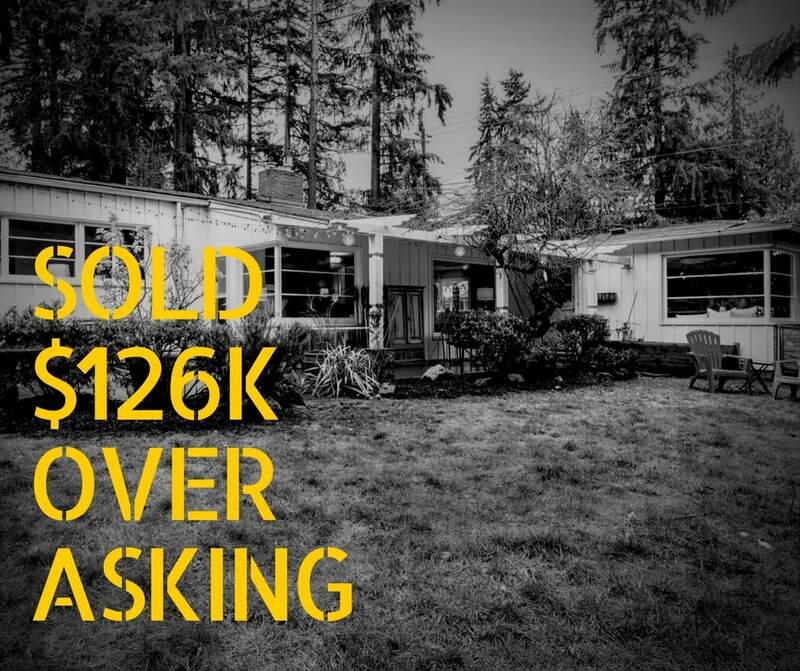 The final results – we sold this delightful mid-century home sold for $651,000 – $126,000 over asking. Let’s talk about the work completed on this house? We did our regular Diva walk through with our folks and discussed what was worth fluffing and what was not. Overall this home was in stellar condition. Our folks had the beautiful original oak floors refinished so they would be gleaming by listing day and had the home repainted. They fixed anything that needed to be fixed, which was very little and, in spite of the February cold and drizzle, had the yard looking pretty cute and ready for future Spring fun time. And, of course, there was the fantastic staging by Open House to make every one of John Wilbanks photos pop. And let’s talk about marketing for this house? A fab listing page on the Diva Website. An informative yet sassy blog post on the Diva Blog where we also talked in detail about the surrounding neighborhood. Who can forget the awesome Diva Dude video? Is it time for you to get the #DivaDifference on your mid-century modern home? Are you ready for the challenge?